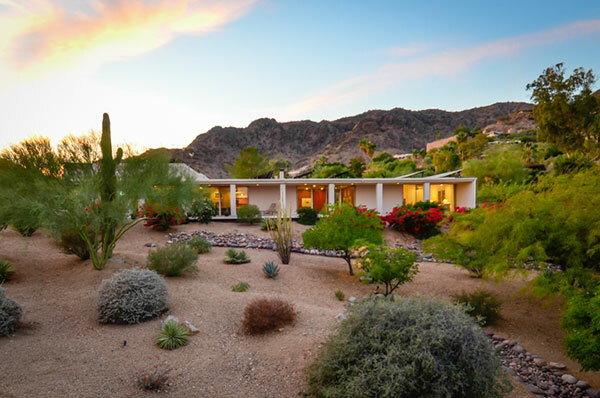 The Kirby House was built in the exclusive gated community of Clearwater Hills. 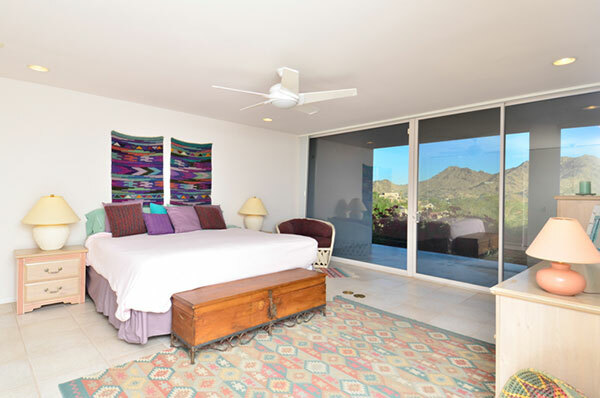 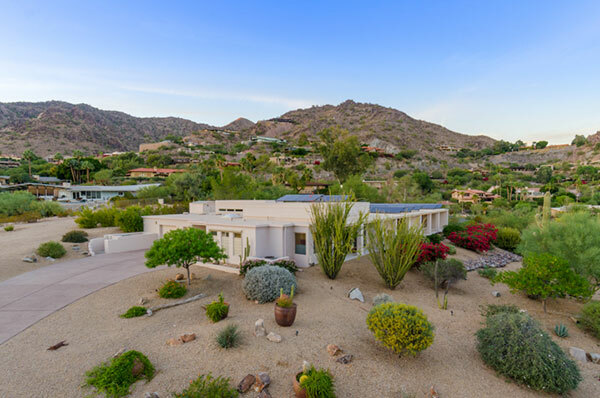 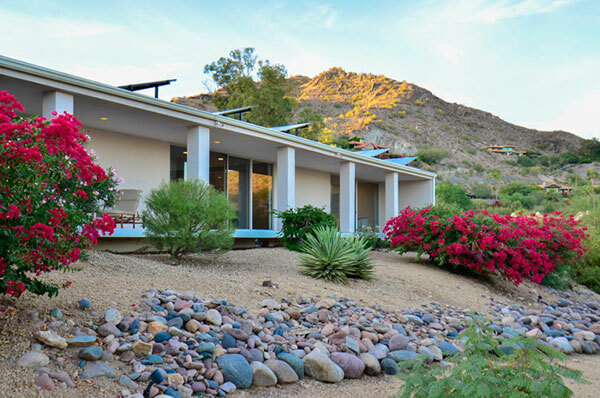 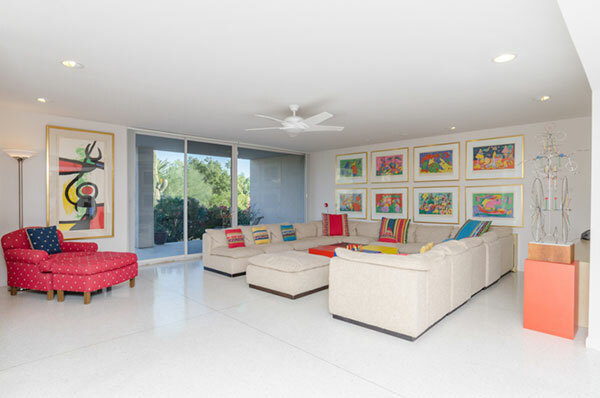 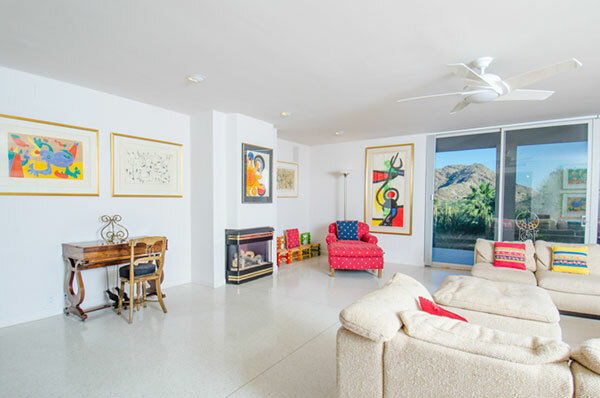 A large master suite, hidden behind the Saguaro, was added by another architect in the 1990s. 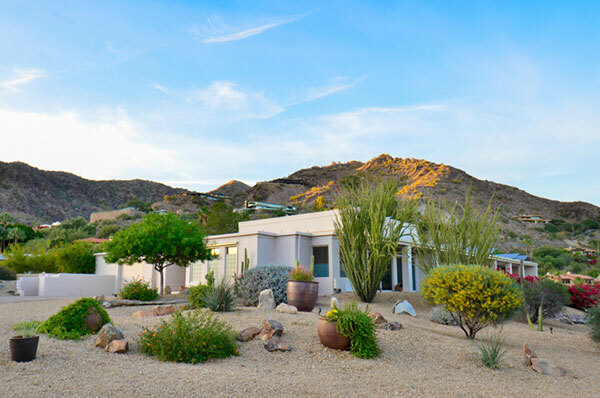 The southern face of the Beadle Box echoes many of the classic forms found in Beadle's White Gates and Healy/Fearnow Residence. 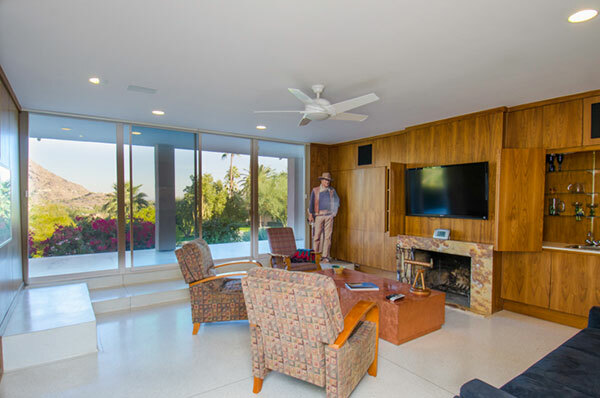 The Beadle portion of the home begins after the master suite near the entryway, and features a very alrge living room with lots of light and arcadia doors that open onto a continuous walkway on the Eastern face of the home. 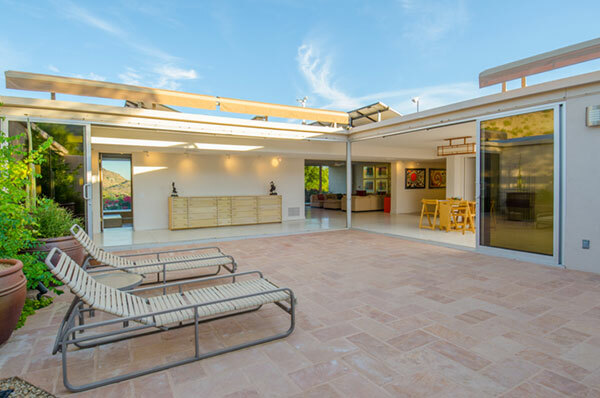 The most remarkable feature of the home is its organization around a central courtyard. 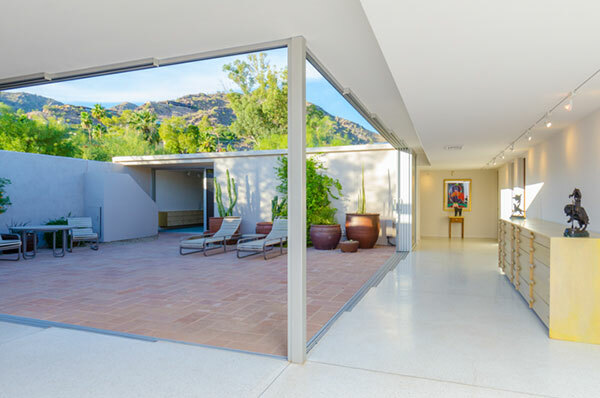 Collapsing glass doors disappear to reveal the patio. 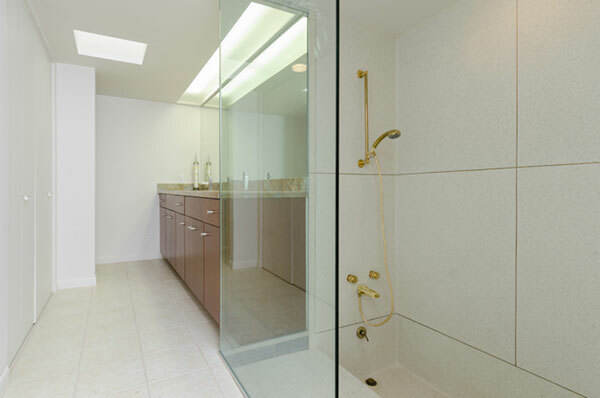 Steel framing helps the two longs spans remain uninterrupted. 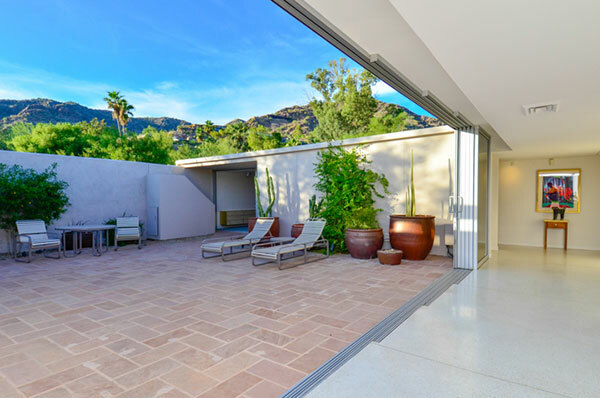 The north and western courtyard walls frame the desert sky. 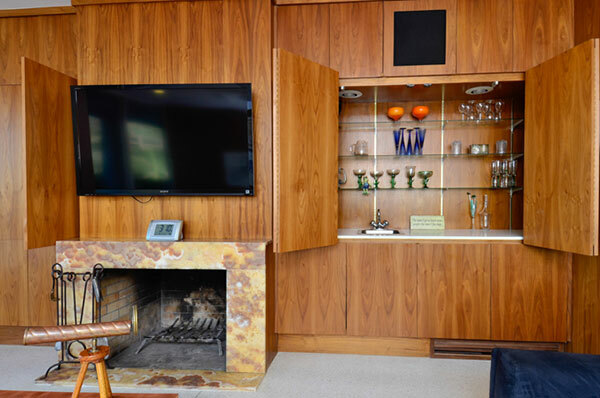 Another remarkable feature of the home is this unusal den with walls completely clas in wood veneer. 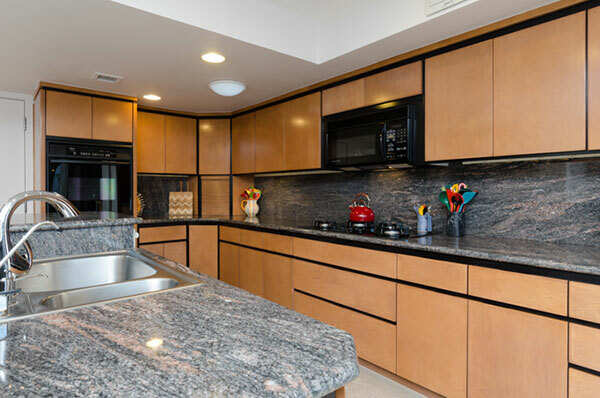 The figured grain has been well bookmatched and signature seamless Beadle cabinets reveal plenty of storage. 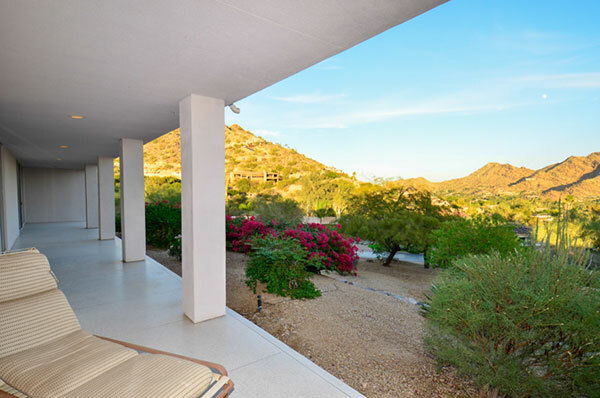 This den also opens out onto the continuous walkway to the East. 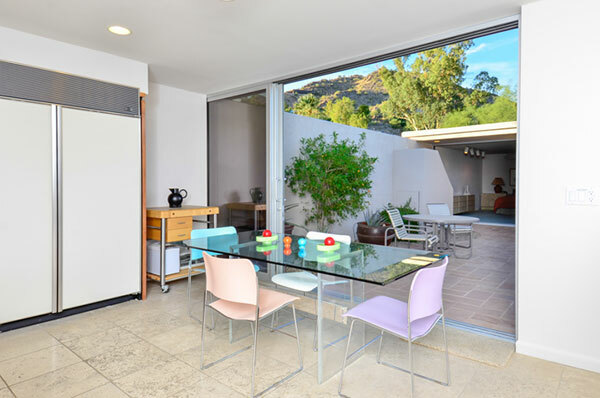 The kitchen was completely remodeled sometime in the 90s, but the breakfast area still opens out onto the courtyard. 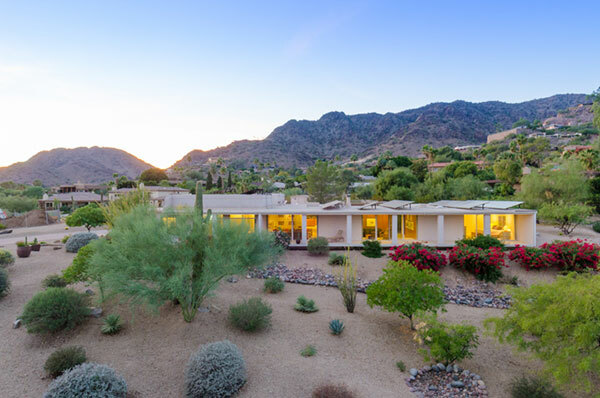 A view to the northeast at sunset with spectacular views of Clearwater Hills. 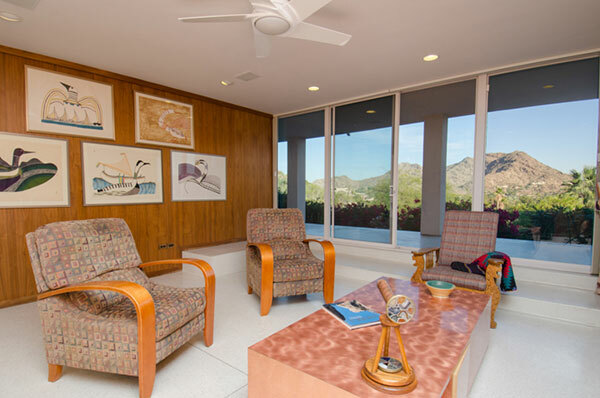 The master suite and garage could be removed to restore the Beadle Box to its original and more modest form.